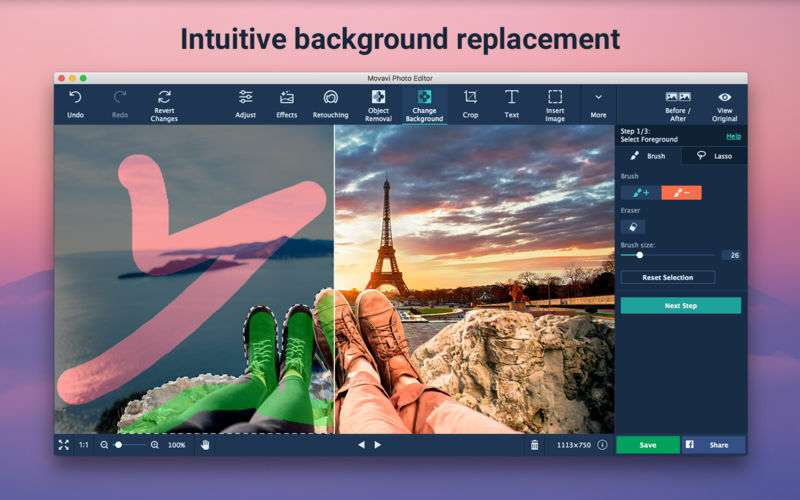 Easily remove random bystanders, inconvenient fences and ugly power lines from your travel panoramas with a single action: just select the unwanted object and hit Start Erasing – everything else is done automatically, thanks to Movavi’s unique optimized removal algorithm. 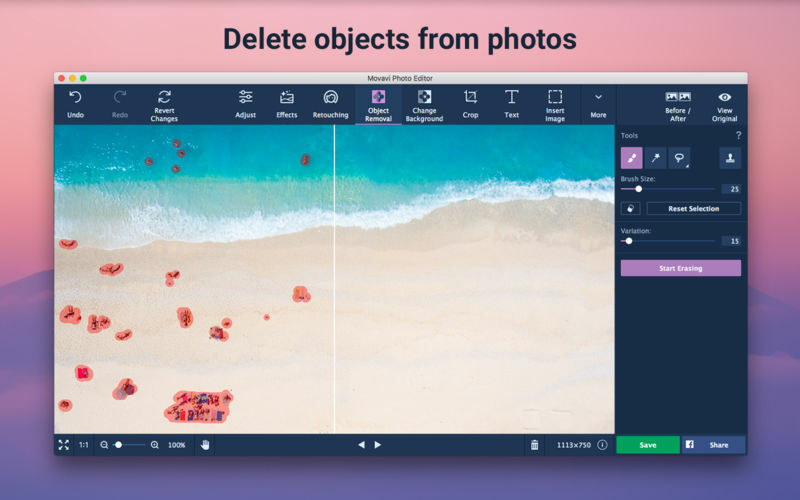 Copy and paste objects between different pictures as well, even change their size or rotate them. You can use the Clone Tool for any final touch-ups if necessary. 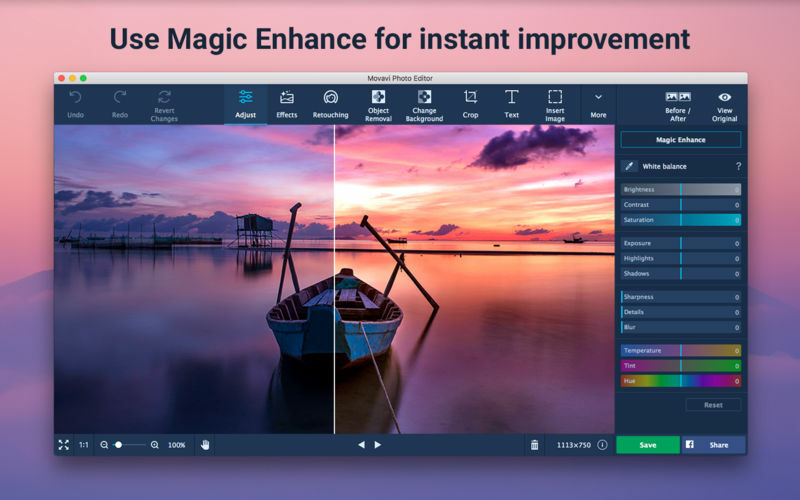 New retouching tools will help you hide skin imperfections like pimples or wrinkles, whiten teeth and get rid of the red-eye effect. Give yourself a complete makeover with the new make-up kit: experiment with various shades of blusher, eyeshadow, and lipstick, add mascara, even change the eye color. Finally, give your shots that special touch with stylish filters like Lomo, Sepia, Posterization, Pop-Art, Disco, and many others, apply textures and overlays – why not mix and match several effects at once?